When Britain declared war on Germany on 3 September 1939, Cardiff and its surroundings, like every other city, town, hamlet and village in the country, sent forth large numbers of young men to fight against the oppression of Hitler and the Nazis. This is a story not only of the war itself, but of the way war affected those far away from the battlefields, and of how a nation stood together in the face of a seemingly unstoppable force. The book pays particular attention to the way Welsh society changed during the war years, far reaching changes that are still felt in the country today. 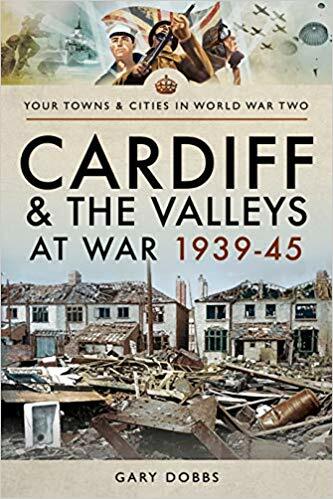 The book details the enormity of the human sacrifice paid by the people of Cardiff and its surrounding areas, but also contains many examples of the way ordinary people stood proud, defiant in their determination to bring about the downfall of the Nazis. Lavishly illustrated with over fifty original and modern-day photographs, this book is essential reading for anyone interest in military and social history.